Jason's chasing Medea through the forest and shouts out to her that he will find her and kill her eventually, as Medea has just mortally wounded Ariadne. But he must put his chase on hold and get Ariadne back to Atlantis so she may be tended to by healers. It's rather annoying to have Ariadne's agency interrupted like this. Let's get back to her coming into her own as Queen of Atlantis instead of being a source of man-pain for Jason. Jason worries that his faith in people, in Medea to be exact, will lead to Ariadne's demise. Hercules has a quiet moment with Orpheus, who says that he will be reunited with Eurydice again someday, even if it's in the Underworld. Ariadne's wound isn't healing so the Oracle is summoned and begins tending to her with incantations and other mystical devices. The Oracle determines that Medea's dagger was enchanted with dark magic - a death curse that is beyond the Oracle's powers. Jason is distraught and determined to find a way to save Ariadne. The Oracle suggests Jason seek the council of the Grey Sisters, who are danger and may share thing he will not wish to hear, but at this point, it's Jason's only option. The trio ride out to find the Grey Sisters and Hercules laments how he has done nothing to help Medusa and her plight, whereas Jason would ride to the ends of the earth to save the woman he loves. The trio reaches the Grey Sisters and Jason holds their eye ransom for answers. They say that the wound must be treated by the blood of the enchantress, so now Jason must find Medea. They also tell him that his and Medea's fates are entwined so he apparently cannot kill Medea. Presumably this is a plot point that will be developed further throughout the season. They also offer up the location of Medea and the trio head off. The trio reach their destination and are attacked by some flying creatures. Hercules is injured and he's forced to stay behind while Pythagoras will look after him and stop the bleeding, meaning Jason will have to go in alone. Jason reaches Medea, who tells him they were both "touched by the gods" and that they have some sort of connection. It does appear that there is some tension and Jason opts to simply knock Medea out and steal some of her blood but ends up knocked out too and locked up by Pasiphae's men. Medea lies to Pasiphae, saying that he only said he intended to kill her, and Pasiphae tells Medea about Jason being her son. Pasiphae converses with Jason after he wakes, seemingly wanting to genuinely connect with him. She even brings him food, much to his surprise. He asks why she spared him and she says that perhaps they're more similar than he thinks. Pasiphae claims that Atlantis is a great city and Ariadne is too weak to rule and defend the city from its enemies. Pasiphae adds that Ariadne is not so simply the rightful heir since her father had wrongfully usurped the throne. Pasiphae says that they must put their differences aside if they hope to save the city. She continues to try to reason with him but Jason attacks her instead when she gets close enough in proximity and the guards intervene. Pasiphae seems saddened by the turn of events with Jason and his hostility, while Pythagoras and Hercules are able to make their way to the castle and fight their way past the guards to release Jason from his prison cell. Thankfully, Jason has still managed to get away with Medea's blood (not sure how he managed that but whatever saves our fave, Ariadne, will have to do). Jason and Medea share some intense eye contact before the trio get away. Jason admits to Pythagoras and Hercules that he was unable to kill Medea, just as the Grey Sisters had said, and expresses his confusion over why Pasiphae spared his life when she could have ended it. The two keep quiet about the truth they know. 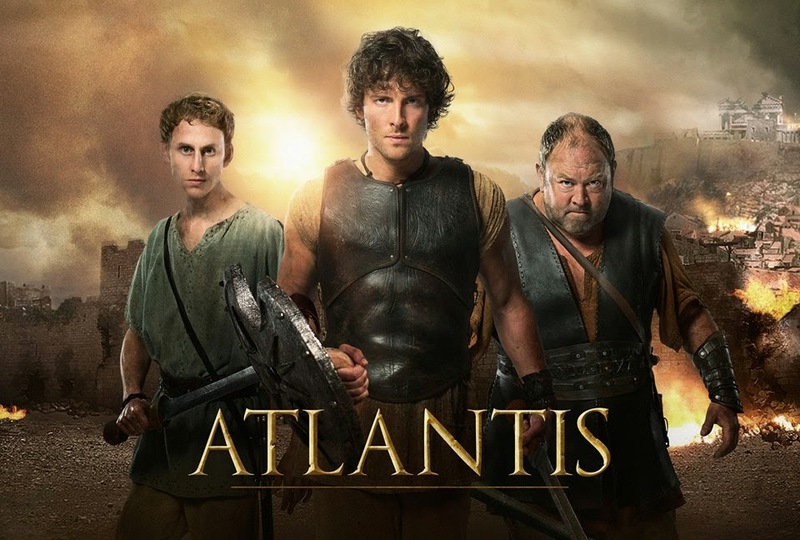 They make it back to Atlantis with the blood, and Ariadne is restored. She asks to see Jason and says that she'll deny herself no longer, and proposes to him. He is surprised, to say the least, but he accepts.